There have been talks for SMS/MMS service to the emergency 911 number for quite some time but Verizon is the first to actually do something about it. A few days ago Verizon announced it is working closely with TeleCommunication Systems to provide SMS support for 911. According to Verizon everyone with a phone that can send SMS and a plan that supports text will be able to use the new service. This will help people in need who are deaf or hard of hearing and cannot make voice calls or who could be placed in additional danger by speaking. There are also some cases that the battery won’t be enough to carry a voice call, but will be capable of handling a text message. 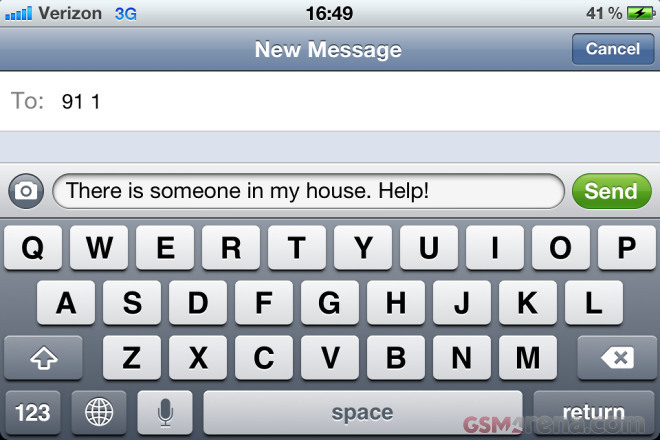 So, the SMS to 911 service is coming soon. Let’s hope other carries enable it as well.